Going to a funeral is not something that one does often. In fact, funeral etiquette can be confusing for a lot of people, especially the younger set. The crucial ideas that should guide you are sensitivity, tact and respect. As the family of the deceased are mourning, you would want to provide a measure of comfort during this trying time and not serve as a distraction or cause of additional stress. If the deceased is a relative or a close friend, it is advisable to pay a visit to the family and express your condolences and even offer to help around. Bringing food will be greatly appreciated by the deceased person's immediate family as they are probably stressed and too tired to prepare their own meals. Offer some help. The deceased person's family will greatly appreciate these. At this stage, it is not necessary for you to linger around as the family may have too much on their plate. Stay for a few minutes to express your condolences or even recount your fond memories about the recently departed. The exception to this is if one member is alone and badly needs a shoulder to cry on. One traditional way to express condolences to the bereaved family is to send flowers, either to the family's home, the funeral home or the church. In sending flowers, keep your message simple and concise. If you are sending flowers to a funeral home or a church, make sure that you indicate who the flowers are for. Wakes are typically held in a home or in a funeral parlour. Upon arrival, go directly to the family of the deceased and express your sympathy. If no one in the family knows who you are, make sure to introduce yourself and explain how you know the deceased. If the casket is there, the right thing to do is to stand there briefly to say a prayer or recount your memories of the deceased. Afterwards, you may linger for some time to talk to the people you may know. Afterwards, make sure that you sign the register before taking your leave. 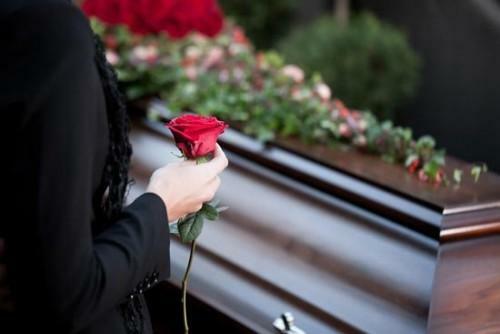 There are very few instances wherein you should not attend a funeral. One good reason is if the family would like to keep the affair private. If you are unable, due to one reason or another, to attend the funeral, be sure to send your sympathies through a note. Use this note to explain why you cannot attend the funeral. Although there are no hard and fast rules about what to wear when attending funerals, err on the side of caution and wear something formal with conservative colours. During the eulogy, make sure to turn off your mobile device. Arrive early for the ceremony.